TC2000 offers fully simulated trading in Paper (practice) Accounts. All trading tools function in simulation for practice purposes. 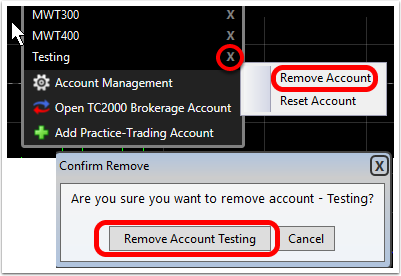 Below are the steps for resetting or removing a practice account from your TC2000. 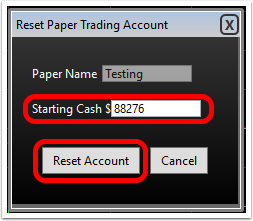 Note: doing the reset will remove all positions and history from the simulated account. There is no way to retrieve this data.